Hello everybody! 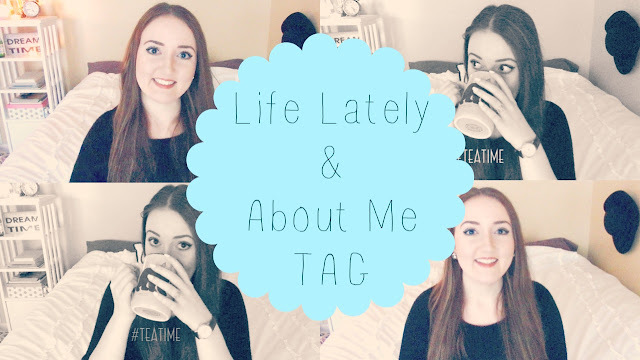 For my readers who watch my YouTube videos, I just wanted to let ya know I've uploaded! It's been awhile, I know, but I'm back! Be prepared for the consistent release of content. In three weeks (after the end of the semester) I will have much more time to brainstorm, film, and edit because of winter break. Once break is over, I'll still be able to film more frequently because I've finally figured out a decent film setup in my dorm room, and I'm only taking five classes, not six, which will leave me with some more free time. So get ready for plenty of new content on here, as well as over on my channel for the new year! 5. What would you name your kids? 13. Have you graduated high school? 14. Do/did you like school? 15. Have you ever been out of the country? If so, how many times? 16. Do you speak any other language? 17. How many siblings do you have? 18. What is your favorite store? 24. What kind of phone do you have? 25. How tall are you? Do you have a YouTube channel? If so, comment your channel below and I'll be sure to subscribe! Loved this video! Found myself cracking up so much and I can relate to all of your taste in music. Yay for music! I thought you were British before you started talking hahaha! What a great video, love it! My question for your Q&A: Do you have any tips for bloggers and YouTubers who are trying to gain a larger following? Loved this post! :) It`s so cool to get to know better the person behind the blog ... awesome video!